Maybe I just have winter on the brain right now - my feet have already become frozen blocks of ice, to defreeze sometime in the spring - and all I can think about is keeping warm. That is why I think I need this hat. 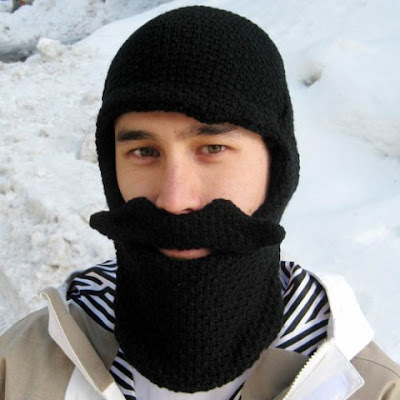 And my hat, I mean Beard Head Mustache. Amaaaaaazing! Too funny! I want one too.